Blue Man Group Makes-A-Change in 12 Kids! - Make-A-Change Inc.
Blue Man Group Makes-A-Change in 12 Kids! 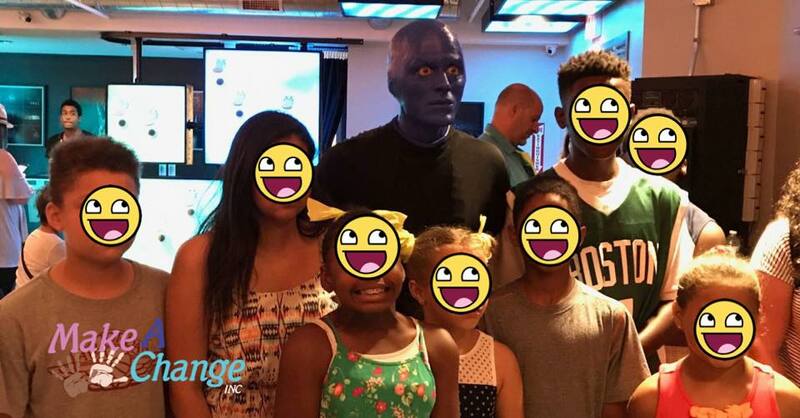 We had an amazing time Make-A-Change with the Blue Man Group in July 2017! 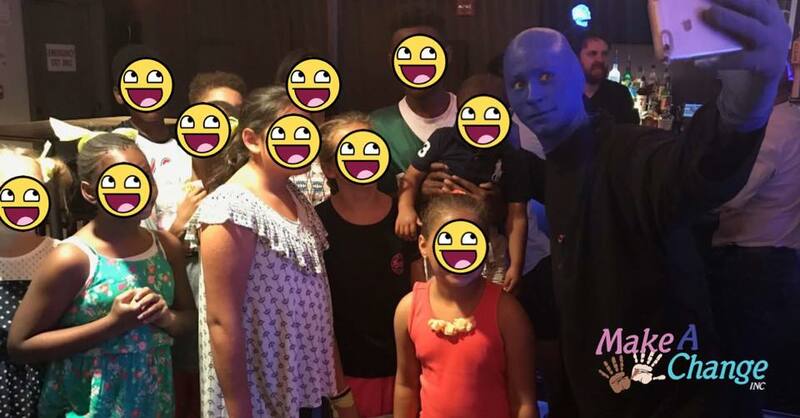 In partnership with Tickets for Kids, we were able to send 18 people to the Blue Man Group to have an amazing experience watching one of the coolest shows out there! All families raved about how much fun the had! We seriously can’t wait to bless more kids with an amazing experience at the Blue Man Group! 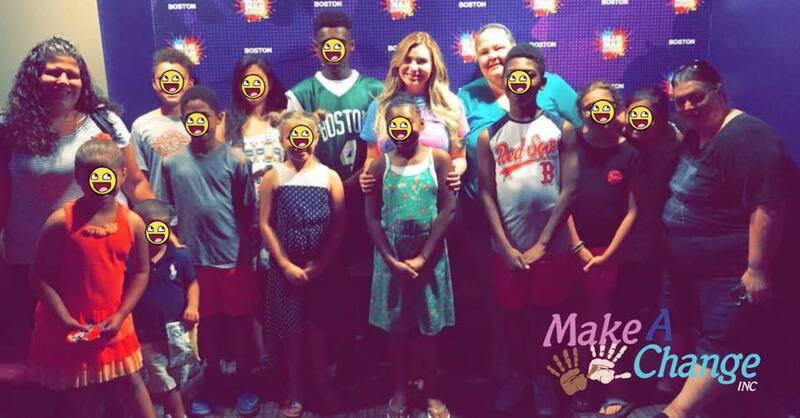 In addition to this awesome day, the families were all invited to attend our Field Day and Make-A-Change Summer Camp, giving these kids opportunities to truly have an amazing summer! 2018 Is Already Bringing Joy to Hundreds of Foster Children! 931 Children and Families Impacted in 2017! Over 850 Children and Families Impacted As of October! 240 Children and Families Impacted, September was Great! Joy Brought to 188 Children and Families in August!